UN - The voices of indigenous peoples must be effectively heard and they must be consulted on issues that affect them, including rights to land and resources, the United Nations Human Rights Council heard today. 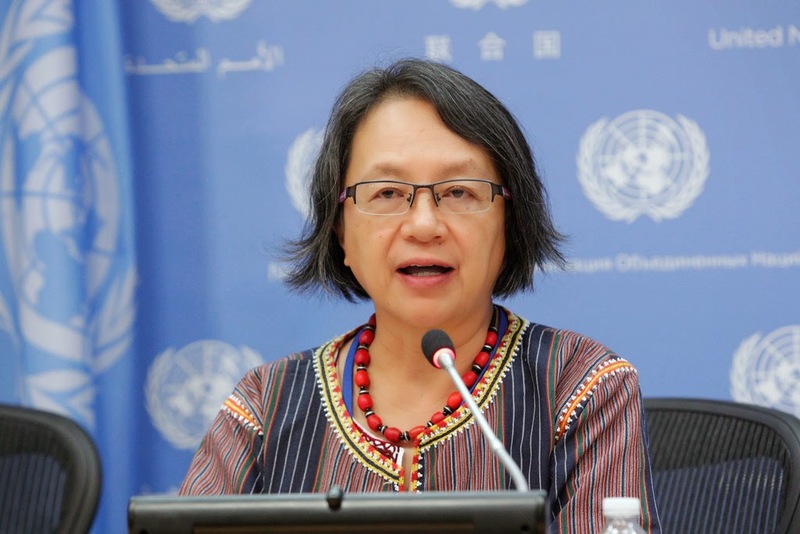 “Although there is, at both the international and domestic levels, a strong legal and policy foundation upon which to move forward with the implementation of indigenous peoples’ rights, there are still numerous obstacles preventing indigenous peoples from fully enjoying their human rights,” said Victoria Tauli-Corpuz, the Special Rapporteur on the rights of indigenous peoples. There are an estimated 370 million indigenous people in some 90 countries who constitute 15 per cent of the world's poor and about one third of the 900 million extremely poor rural people. Practicing unique traditions, they retain social, cultural, economic and political characteristics that are distinct from those of the dominant societies in which they live. Indigenous peoples are also among the most disadvantaged and vulnerable populations, with many of them struggling to remain on their lands and retain the right to their natural resources, while others have long since been removed from their lands, denied their languages and traditional ways. Ms. Tauli-Corpuz noted that among the barriers preventing indigenous peoples from fully enjoying their rights is the absence of steps towards reconciliation with indigenous peoples and redress for past violation of their human rights. Linked with reconciliation yet to be completed, she said, is the ongoing negative perception of indigenous peoples among the broader societies in which they live, including within governments. “The nearly universal disadvantageous social and economic conditions of indigenous peoples as compared to the economic and social conditions of the majority societies in which they live present a barrier to the full exercise of their human rights,” the expert added. Today’s meeting in Geneva comes just days ahead of the first-ever World Conference on Indigenous Peoples, a high-level meeting of the UN General Assembly, set to take place on 22 and 23 September in New York. “The World Conference will be a unique opportunity for the international community to renew its commitment to the United Nations Declaration on the Rights of Indigenous Peoples,” Albert Deterville, Chair-Rapporteur of the Expert Mechanism on the Rights of Indigenous Peoples, said in his statement to the Council. Adopted by the General Assembly in 2007, the UN Declaration recognizes their right to self-determination and to freely pursue their economic, social and cultural development. “It is the Expert Mechanism’s hope that the World Conference and its outcome document will lead to concrete measures to fulfil the rights of indigenous peoples in all regions of the world,” said Mr. Deterville. He added that the Expert Mechanism has been actively engaged in the preparation for the Conference. Its members have consistently advocated for, and remain committed to, the full, equal and effective participation of indigenous peoples in the event, and are pleased to see that indigenous peoples’ perspectives and inputs have been included in the outcome document. Mr. Deterville also reported to the Council on the work carried out by the Expert Mechanism, including a follow-up on study access to justice in the promotion and protection of the rights of indigenous peoples, and a study on the promotion and protection of the rights of indigenous peoples in natural disaster risk reduction.